Satisfy your company’s Know Your Customer (KYC) requirements with Civic’s easy-to-use, private, and secure KYC solution. The Civic mobile app enables your users to scan and verify their identity documents so you can satisfy your company’s KYC requirements. Leverage trusted 3rd parties in the Identity.com Marketplace to validate personal information with blockchain attestations and store everything locally on the user’s mobile device. Add blockchain-enabled KYC to businesses and services that require user identification. Decentralized, reusable KYC improves security, on-boarding and every day use. 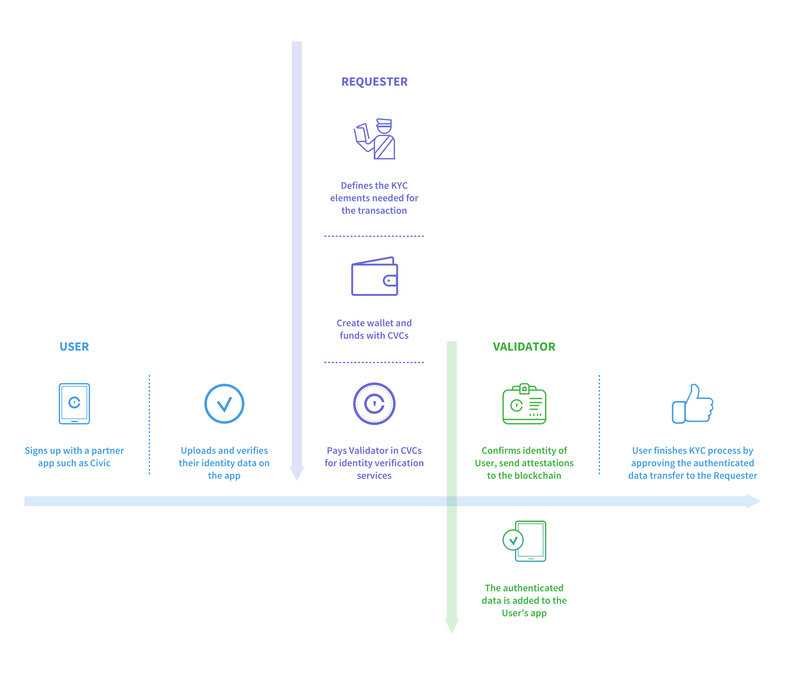 Currently, Identity Requestors can use CVCs to leverage permission-based, real-time authentication of identity data verified by a Civic Identity Partner. The Civic Secure Identity Platform (SIP) stores and shares authenticated data only with user permission, while the Civic Marketplace is a decentralized environment where CVCs are used for attestation payments. Why Do KYC with Civic? With Civic Reusable KYC, organizations easily have proof of identity information being authenticated by a trusted institution, thus, eliminating the sharing of unnecessary data. 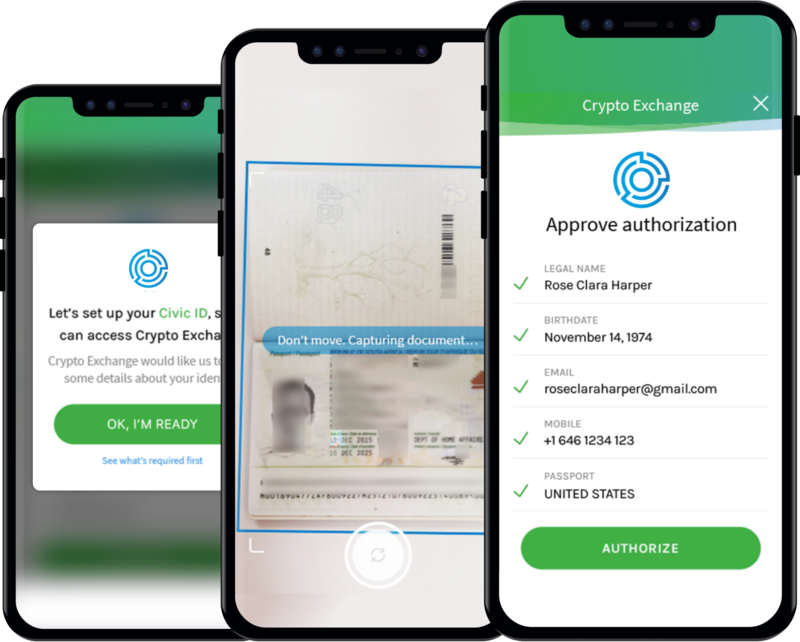 The Civic app stores a user’s personally identifiable information (PII) securely on his or her device using high-level encryption and biometrics. The user chooses whether to approve or deny all requests for information. During the ID verification process, users have to pass a liveness test and selfie comparison with their ID. Optical character recognition (OCR) ensures that the document’s real owner is being verified. Interested in Civic’s Reusable KYC solution? Get in touch below.